When Lou asked me to write my story, I thought, absolutely! Then he said I’d be doing it this week and I realized I would be following the likes of Christina Taborsky and Katie McGrath, two of the toughest women in the group. I began to fear my life story would not even begin to compare, but everyone starts somewhere, takes various paths, develops strengths and overcomes weaknesses. So I took the approach that I take when I run a race – my motto is to “run my own race” – and summoned the courage to put pen to paper (or in this case, fingers to keyboard). Although I am not sure exactly when I started running, I started racing in the spring of 2002. I remember it clearly because I signed up for my first 5K in West Islip, the Elizabeth T. MacNamee run. It was Mother’s Day weekend, I believe, and I had lost my mother just a year and half earlier. So I begged my brother-in-law to do it with me, and off we went. 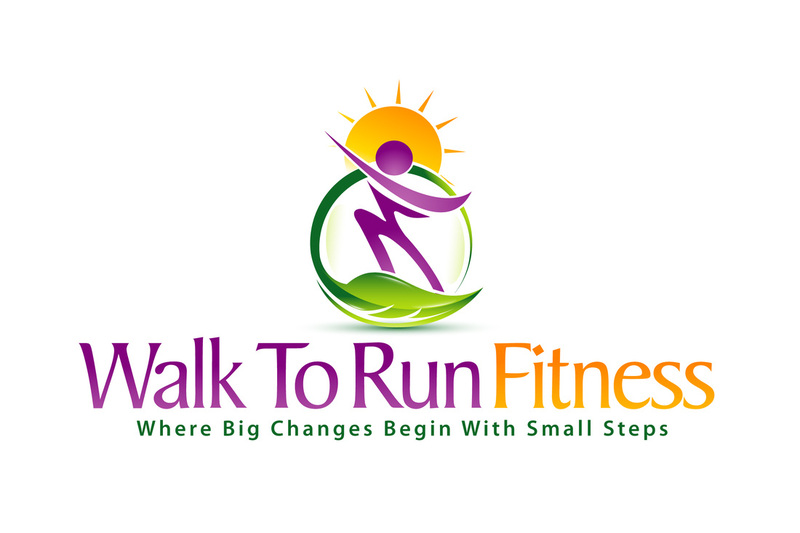 I was hooked immediately, and began doing 5K’s and some 10K’s around Suffolk County. I loved trying to do better than my previous race; that was very satisfying to me. Other than my brother-in-law, I knew no one. Many races I would do alone, showing up, running, and leaving without speaking to a single person. It bothered me, but not enough to stop competing. Over the next 12 years, I would have periods in which I’d race a lot, and times in which I wouldn’t race at all. Three pregnancies and subsequent months of breastfeeding took me away from running as much as I’d like, but I always managed to find my way back to it. So, backing up a bit, I never loved to run for the sake of getting in shape as a kid. I was an athlete, to be sure, but purely a team sports person. My father, Jim Zeitler, was a huge factor in the development of Girls Track in Suffolk County. His efforts to get girls equal opportunities to compete did not escape me, even at my young age. I have fond memories of going to track meets (the Zeitler Invitational at Harborfields HS or a day at the Armory) for an entire day of… what? Jumping on and off high jump mats, selling tee-shirts, and getting yelled out by people who didn’t realize we were “Zeit’s kids.” But the exposure to all the track meets didn’t wear off on me and when I got to high school at Sachem North, I played field hockey and softball, but did not run track. My senior year was memorable for both good and bad reasons. My field hockey team went to the State Tournament (but lost in the semifinals), but I was essentially cut from the softball team, being told I had a spot but was not guaranteed any playing time. I attended Brockport State in the fall of 1990, and played field hockey for the Division III program. Somehow, the softball coach tracked me down and convinced me to play that, too. I figured I would ride the pine for four years on that team, while working hard to be an integral part of the field hockey team. Field hockey had become my first love and it was my field hockey coach who pushed me beyond what I thought was my cardiovascular limit. We would run three miles as part of our preseason training, and I remember being psyched to complete it in 22 minutes. But I was wrong about my role on the softball team, and after just one year of having two seniors in my position, I became the starting pitcher as a sophomore. In fact, we went to the conference finals all three years, the state tournament once, and made appearances in the NCAA tournament in two consecutive years. I continued to play both sports all four years and graduated in 1994. (In 2002, I was inducted into the Hall of Fame at Brockport primarily for my performance on the softball team, an honor for which I am truly proud). After college, I did an internship and graduate assistantship at Hofstra University, working in the sports media department. I got to work with many sports teams, keeping stats and writing press releases (so fun!) and also got to travel with some of the teams. All the while, they paid me in credits and I got my Master’s degree in the spring of 1997. Having done my student teaching in Smithtown, I got an interview and a job as a Physical Education teacher at the middle school. I started to get my groove in my teaching career, and I earned tenure in 2000. Shortly thereafter, my mother suddenly became very sick, and died at the very young age of 56 to pancreatic cancer. I was in complete shock. It was November 21, 2000, just three days after my 28th birthday. I am convinced that that was her gift to me… she was read her last rites on the 17th but didn’t die until four days later. My grief consumed me and I was a disaster. That spring was one of the toughest I’ve ever had. I started working out at the gym in the mornings, which helped me in so many ways, and I decided to sign up for an Outward Bound course. I went to North Carolina that summer and through that course, was able to reconcile with the many conflicting feelings I’d been having. When I came back from that trip, I was in a much better place, and I felt ready (so I thought) to move on. When the first anniversary came along in November, a fresh wave of grief washed over me, and I was (once again) on-and-off with exercise and running. I had met my husband six months before my mom died, in February of 2000, and as you can imagine, our relationship got a little rocky as I rode on the grief-comes-in-waves roller coaster. I kept hoping we’d get engaged just to fill the void I felt. Looking back, I am so glad he didn’t either propose, or worse, bolt. I needed that time to become the person I was going to be without a mother. It’s unlike any other feeling I’ve had before or since. Something good would happen, and I’d want to call her to tell her about it. Or worse, something bad would happen, and I would desperately want her comfort. As tumultuous as my relationship with my mother had been when she was alive, she was always the person I wanted to talk to. She had a way of keeping me grounded, letting me know when, in fact, I may be wrong in a situation, or that I had indeed made a mistake. She was never one to guard me or let me off the hook (hence the tumultuous relationship). Her “tough love” led me to many reflective moments throughout my life, and I valued her opinion, even when it was hard to hear. The birth of my three children has also set off many motivators for me to run. First, it has helped me get and keep the weight off after each birth. Second, running helps me keep my sanity as I juggle the myriad of things necessary to being a working mother. And third, I feel that as a runner (and an active person in general) I am providing a healthy role model for my kids and my students. I still struggle with my body image, but you would never know. I never get on a scale in front of my kids, we never use the word “diet” in my house, and we have many conversations about moderation and food choices. In addition to all the kids’ organized activities, we frequently ride our bikes and take trips to the track or the YMCA. On rainy days, we pop in a video and “work out” together in the living room. Running also fills a social need and having people to run with, including the vampire crew and especially my good friend Denise McKeon, has provided additional motivation. One challenge that I face concerns my youngest daughter, who was diagnosed with a condition called EPP, or Erythropoietic Protoporphyria. It’s a genetic condition that causes her severe discomfort with sun exposure. Without getting into too much detail, exposure to the sun not only affects her skin (which swells and feels like it’s on fire –not from sunburn), but could affect her liver as well. Sunscreen does not protect her from this. My husband and I have to do everything in our power to keep her covered in the sun. This has led us to many changes in our lifestyle, (we learned of the diagnosis last summer) with most of our family activities taking place in the late afternoon and early evening. She wears special clothing that is SPF protected. It is much more challenging than you might think to keep a four year old out of the sun, and we expect it will get harder as she gets older. Even completely covered with long sleeves, long pants and a hat, her hands are exposed. This alone could lead to a flare up, causing days of discomfort and affecting her liver and porphyrin count. My daughter has special gloves she can wear, when I can get her to wear them. My husband and I were both tested, and as it turns out, I am the carrier of the mutated gene. He, however also has what they call a “snip” (a weaker mutation) of the gene. Together, we had a 2 in a million chance of having a child with EPP. Our daughter is seen annually by an amazing group of doctors who specialize in proforias at Mt. Sinai in the city. Through them, we learned that she will need to avoid not only sunlight, but surgical lights, light coming through a window (like a classroom or a car), alcohol and birth control pills (estrogen). Many of my thoughts each day surround how I am going to give my little girl a normal life. On my longer runs, I find myself daydreaming about both solutions to the problem and worst case scenarios. I also use that time to keep things in perspective… I do believe that this is not the worst thing that could happen to her, or to us, and that we will work through it as a family. There are many children with much more severe conditions that affect them every minute of every day, not just when in sunlight. And to answer your question, no she will not grow out of this; it’s a genetic condition that will be with her for her whole life. Like I said, it’s been an adjustment not just for her but for all of us. So we all have crosses to bear, so to speak, and how we handle what we’ve been given says a lot about us. Running rewards me all the time in so many ways. I am so grateful to have found a community of people who share my passion and who just “get it.” And although I have dabbled in biking and swimming recently and just did my first triathlon this past April, running is my first love. My five am group has opened the door to a whole new world I never thought I’d be a part of and I am so grateful to them and their dedication and perseverance. And because of all of the Selden Hills Warriors, it’s no longer a question of “if” I’m going for a run, but “when” it will happen. No more “on-again-off-again” exercising for me. For the better part of the last two and a half years, I have been consistently active. I simply check in on Facebook, find some friends that want to run the same time as me, and off I go. Thank you all for taking the time to read my story.